Airtel has some good news for BlackBerry owners as it has introduced a new 3G plan for its BlackBerry post-paid users offering extra data usage. Users get 1GB of free 3G data when you use your BlackBerry as a modem and unlimited internet browsing on your BlackBerry smartphone. Users will have to pay their normal monthly BlackBerry plan charges and an additional Rs.299 for this new plan. 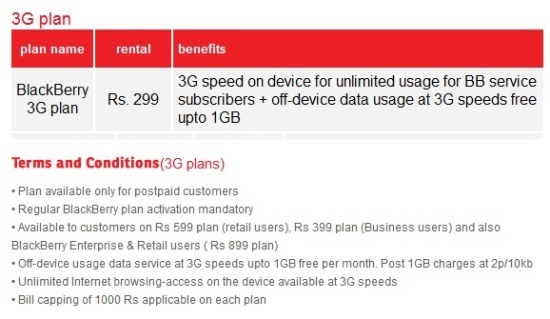 This plan is available for users who have subscribed for the Rs 599 plan, Rs 399 plan or the Rs 899 plan. HTC One X review: A Quad-core fantasy come true!